Adjectives, superlative adjectives, and comparative adjectives—your child can conquer all three with this grammar worksheet! Kids read each sentence, then pick the type of adjective that makes the best fit. On this third grade reading and writing worksheet, kids change present-tense verbs to irregular past-tense verbs, then find the verbs in a word search. 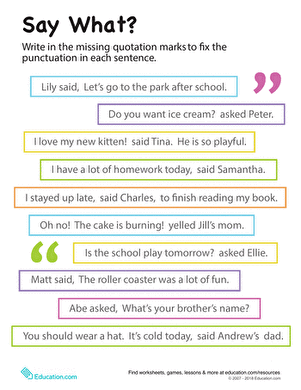 Practice verb pluralization with your child on this multiple choice grammar worksheet.